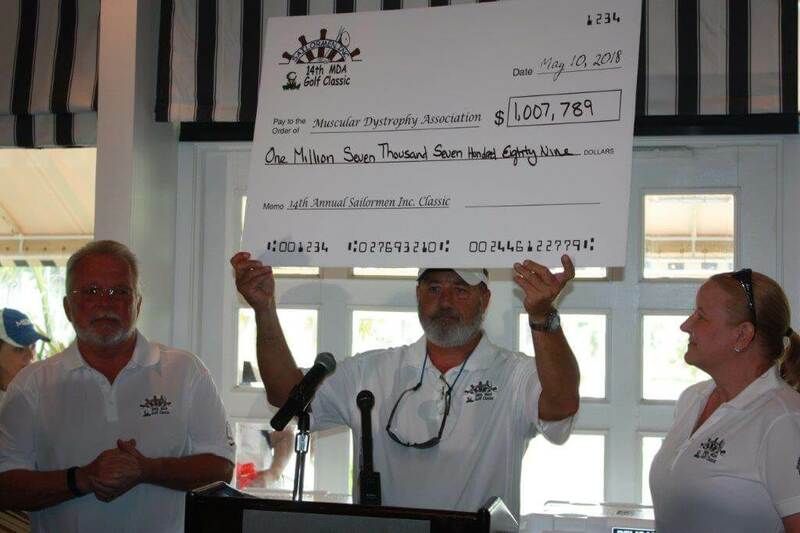 On May 10, Sailormen Inc., one of the largest domestic franchisees of Popeyes Louisiana Kitchen restaurants with 132 locations in five states, announced that its annual MDA Golf Classic and 2018 Appetite for a Cure program raised a record-breaking $1,007,789 for MDA to transform the lives of individuals with muscular dystrophy, ALS and related neuromuscular diseases. The check presentation at the Sailormen Golf Classic. The Sailormen Inc. Golf Classic celebrated its 14th anniversary on May 10 in Miami Lakes, Fla., at Don Shula’s Golf and Country Club. More than 60 companies sponsored the premier golf event and raised a total of $261,407 to help families served by MDA. Additionally, this year’s Appetite for a Cure program ran from Jan. 29 through March 18 at participating Popeyes restaurants in South Florida and across the Southeast. The program raised $746,382 through the sale of $1 coupon cards worth $30 to be used toward free and discounted purchases during future visits to Popeyes. The commitment by Sailormen corporate and all of their employees to MDA’s mission contributed to a fundraising increase of nearly $200,000 over 2017. Since 2002, Sailormen Inc. has raised more than $7 million for MDA.